I won some MAOAM Pinballs from the MAOAM Mega Vend app on the MAOAM UK page on Facebook on 20th October 2012. 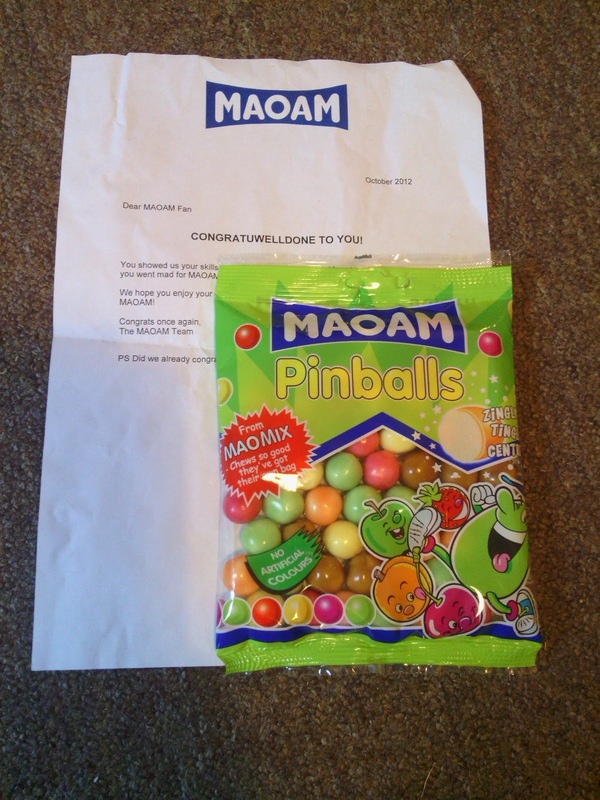 I received them on 31st October 2012. I love these! Will enjoy them as much as the other packet!